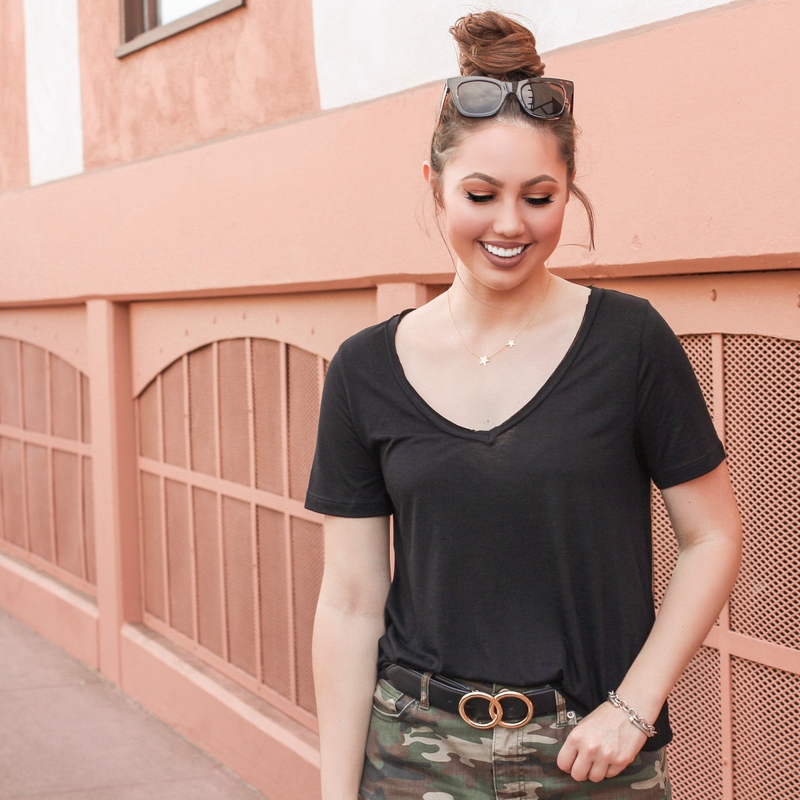 Whether I’m dressing up for an event or just lounging around my house, I almost always have on a minimum of two pieces of jewelry! For the past few months, however, I’ve found myself reaching for the same 6 pieces of jewelry! Since I’ve received so many questions about where these pieces are from, I thought it was fitting to write a blog post about them. 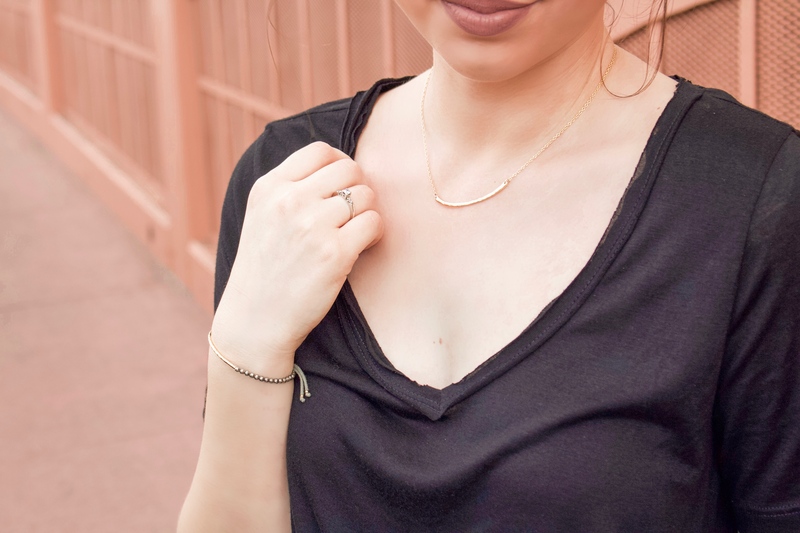 This gold bar necklace is one of the pieces that really inspired me to start wearing more gold jewelry. You may recall that in the early 2000s, silver jewelry was super popular. Now, the tables have turned and it’s all about gold and…I LOVE it! This necklace is a great gift to give someone for a birthday or holiday! I picked up the gorjana Power Gemstone Pyrite bracelet on a whim a few months back and I’ve worn it almost every day since. The pyrite color goes with everything and will be beautiful for fall. This bracelet is adjustable and pairs well with the Taner Bar Necklace mentioned above. I received this Nadri Pendant necklace for my birthday and quickly fell in love! I love how simple and elegant it is! The fact that it’s only $35 makes it that much sweeter! While I have it in gold, the necklace also comes in silver and rose gold. This necklace would be perfect to give to bridesmaids or your BFF! By now you’re probably sensing a trend here…I love gorjana jewelry!! My latest obsession? 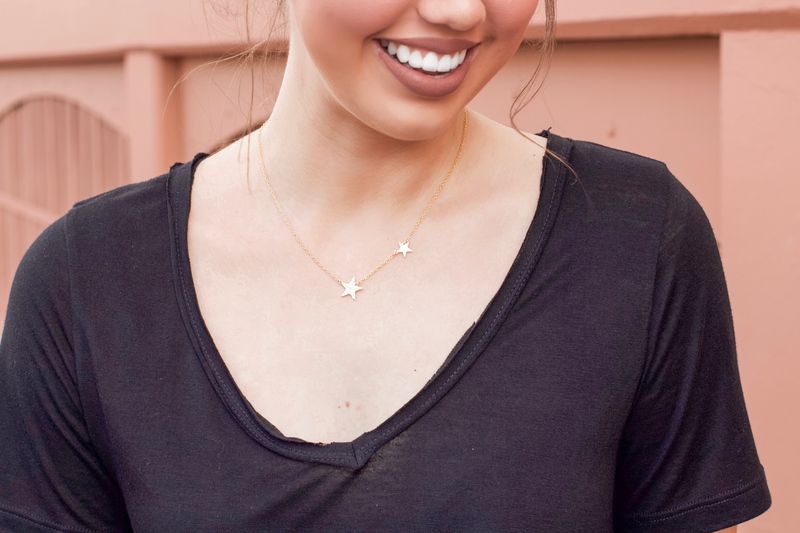 This gold Super Star necklace! The gold version is actually sold out online (still available in silver), but I found mine in a gorjana store! I’m not kidding when I say that I’ve worn this necklace EVERY day since I got it! You need it — trust me! For jewelry that’s more of a splurge, my favorite brand is David Yurman. 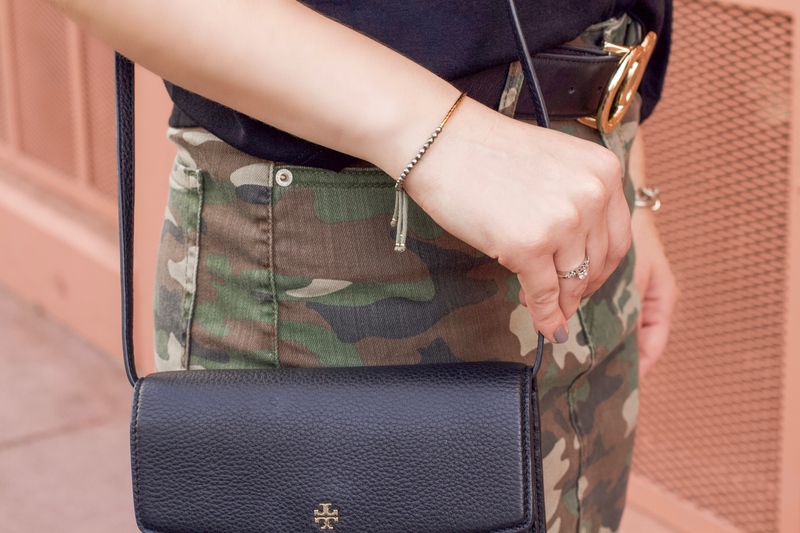 I wear my Oval Link Bracelet and my Cable Classics Bracelet all the time. What I love is that I can pair them with everyday casual looks, yet they also look stunning with a dressed-up outfit for a night out. Which piece of jewelry is your favorite?! Thanks for reading!